There we were, finishing up our meal. Along with the bill, the dreaded (not-a-real-Chinese thing) fortune cookie awaited us. One-by-one we opened our non-nonsensical fortunes, until it got to me. One crack of the crunchy cookie and *GASP*, it was empty! I had no fortune! What did it mean??? FML! Yes, that was at the end of our meal at Chengu Szechuan Bistro. Fortunately (what an ironic word...), our meal turned better than my cookie. We ended up here because our initial plans didn't work out as Guu Kobachi was more packed than a car returning from the outlet malls. They were nice enough to serve us even though we arrived at closing. What caught our attention at first was the Peking Duck plastered all over the front door. Peking Duck? At 10:30pm after hockey? Sure, why not! For $38.00, we got a whole duck with 2 courses. The first course was the crispy skin with crepes. This was surprisingly good with an attractive colour and crispy skin. The layer of fat was not substantial while the meat was moist and soft. The crepes were a touch on the chewier side, but okay nonetheless. 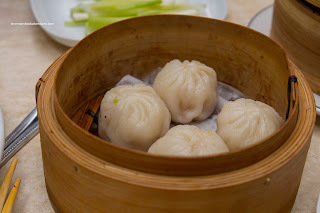 Now the order of Xiao Long Bao were not okay. The dumpling skin was far too thick and doughy while the meat filling was mealy and bland. 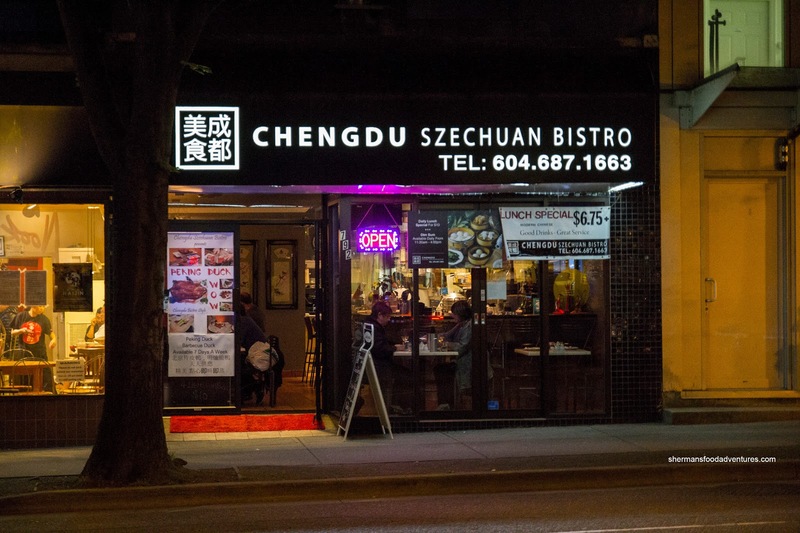 We were willing to give them a pass on this one since they are not a Shanghainese restaurant. However, with Dinesty nearby, no XLB is safe. 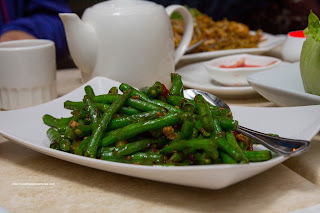 Onto another good dish, we had the Szechuan Green Beans. Normally, this dish is more often than not prepared mild. Not here. It was spicy and really had a pop in our mouths. The beans still had a bite even though they were cooked through. There was evidence of good wok heat since the bottom of the plate was dry except for the bits of ground pork, chilis and onions. 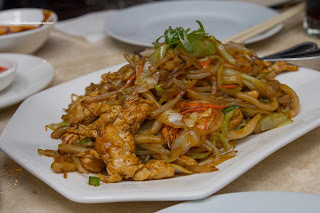 Something surprising was the spice level of the Shanghai Fried Noodles. 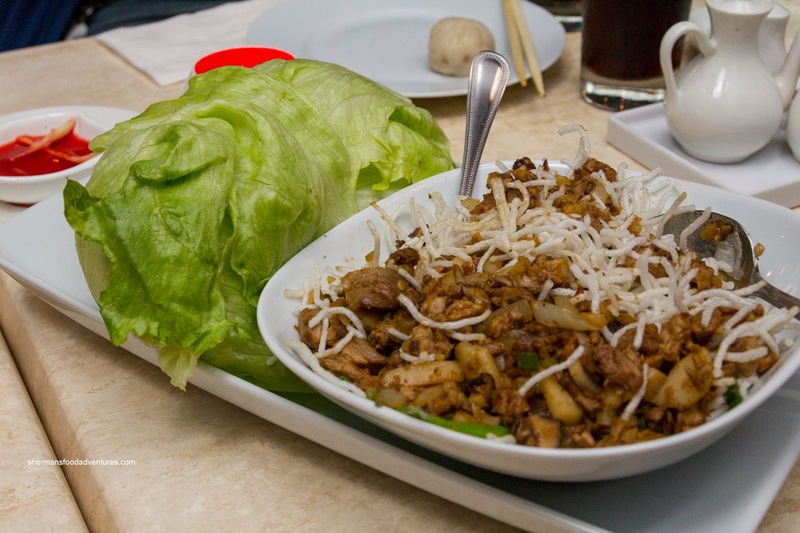 Normally, this dish is very mild with little in the way of veggies except for cabbage. The prawns were plump with a snap while the chicken was a bit dry. The dish as a whole was in need of some salt and possibly could've done without all the vegetables as it made the noodles wet. Lastly, the second course, being the Duck Lettuce Wrap, of the Peking Duck arrived. The stir-fried filling was pretty legit with big chunks of duck, water chestnuts and onion. The flavour was mild, yet effective while there was a good balance of crunch and meat. However, we needed more than the 6 provided lettuce cups and each additional was 50 cents (pretty steep). Despite our initial concerns about being a "fusion" restaurant, Chengdu surprised us with a well-made Peking Duck and Szechuan Beans. 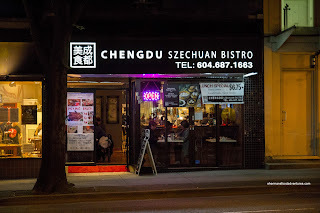 Sure, the XLBs were not great, but they're not a Shanghainese restaurant. There was enough here to warrant another look. - It's nit-picking, but a leaf of lettuce for 50 cents? 50 cents for *each* piece of head lettuce ?!? Ai-ya ! 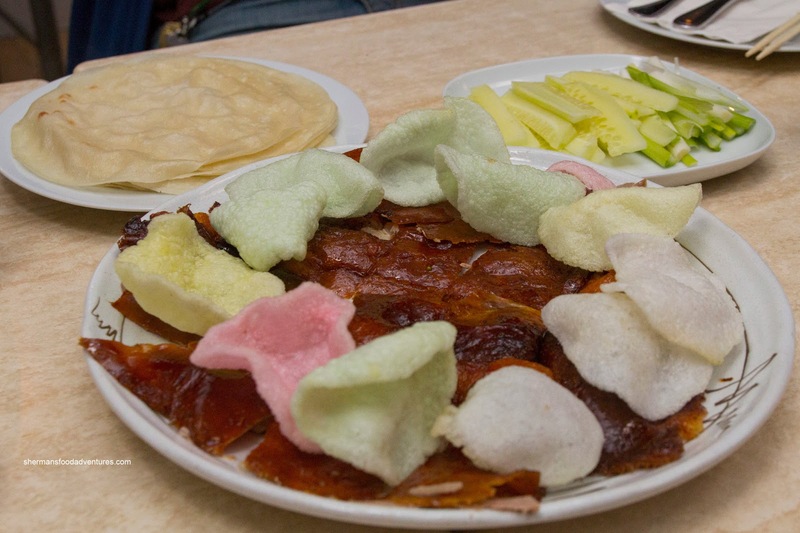 Curious .... how was the Peking Duck heated up by them at 10:30pm ? Hmmm. @LR They fried it. But it was well-executed.